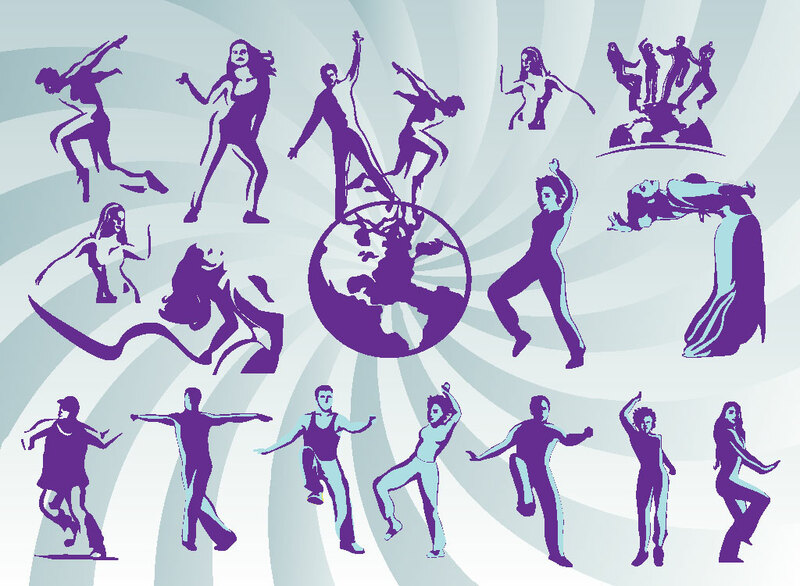 Many different dancers to choose from in this vector bundle. Great threshold style illustrations for your music, dance and celebration design themes. Download as AI and PDF formats for your collection. Tags: Celebration, Dance, Music, Party, People, Silhouettes, World.